The directive will not apply to centre-run institutions such as IIT Madras. 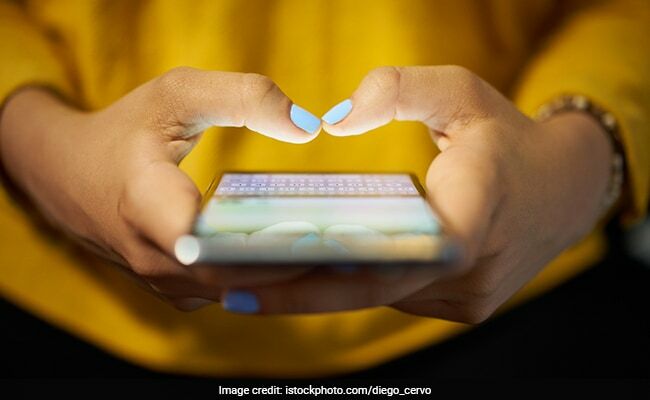 College students will no longer be allowed to carry cellphones as their use has been banned on campuses across Tamil Nadu. A circular issued by the Directorate of Collegiate Education, accessed by NDTV, directs all regional joint directors to inform all government, aided and self-financing colleges about the order. However, the directive will not apply to centre-run institutions such as IIT Madras. A principal of a private college in Chennai, who did not wish to be named, blamed it on the misuse of camera phones. She said, "Students film women faculty members in embarrassing positions and share videos on social media." She added, "In co-educational institutions, women students are filmed in the company of their male friends, the videos are later misused." Another principal said that over the last few years, they have banned use of mobile phones on campus. "But considering the need to have connectivity, we have allowed use of phones in the cafeteria and outside the campus. They can keep their phones in their bag during other times." The students call it a regressive move. D Elizabeth, a literature student, said, "We boast of digital India, but see what we are doing." Shalini Daga, a journalism student, suggests a measured approach. She agrees that the use of mobile phones can be restricted during classes, but a complete ban does not make sense. "Most of our work is done via phones. We have to use internet for almost everything. In such a case, a ban on the use of mobile phones in college does not seem right at all," Ms Daga said. Ananya Shankar, another student, said, "Most students are already adults when they enter college and the use of mobile phones cannot be dictated by authorities. The choice should be left to the students. One of the reasons cited was safety of girls but even with the ban in many colleges, girls face problems." Prof M Andrew Sesuraj, assistant professor, Department of Social Work, Loyola College called the order an intrusion into powers of colleges. He added, "I personally allow my students to use Google during my class. I train them to use camera mobiles to document short films. I help them to go live with the department programmes and lectures through Facebook. Instead of teaching the students to responsibly use the modern gadgets, this order will create hurdles for creativity."